HB’s inclusive environment, outstanding faculty, and unique programs draw families from nearly 90 communities across Northeast Ohio to its beautiful 16-acre Shaker Heights campus, which houses an aquatics center, IDEA Lab, visual and performing arts spaces, turf playing field, Upper School learning commons, and working television studio. With immersive academic, service, and cultural opportunities abound, HB graduates attend many of the world’s top universities. The school is consistently honored by well-regarded educational institutions, social service organizations, businesses, professional societies, and journalistic publications. The number of HB students who have been named finalists or semifinalists in the prestigious Intel and Siemens science competitions far surpasses all other schools in Ohio and all independent girls' day schools in the United States. HB is also the alma mater of 10 U.S. Presidential Scholars since 1996 -- one of the highest honors bestowed on high school students in the country. Eighty percent of the members of the Class of 2018 were accepted to their top-choice schools, or one of their top choices, if they ranked them by group, including all eight Ivy League colleges. These graduates also amassed more than $16 million dollars in merit and other college scholarships, including full tuition packages. Ten students in the class of 2018 were named National Merit Finalists, and 15 were National Merit Commended Students. HB is a 14-time NorthCoast 99 best workplaces for top talent winner, a five-time NEO Success Award winner and has five times been ranked one of Northeast Ohio's Top Workplaces by The Plain Dealer. Educational colleagues throughout the country consider HB a leader in the field. From 2010-2012, more than 1,200 attendees took part in HB's signature Education Innovation Summits. These faculty members and administrators came from 170 different public, independent, charter, and parochial schools in 35 U.S. states, the District of Columbia, and Canada. HB also hosted the 2016 Private Schools With Public Purpose conference, which brought educators from 35 schools in 17 states together to collaborate and find solutions to some of our nation's most pressing issues for students. In 2018, the school was the site of the annual conference for the Global Education Benchmark Group. Since its beginning as "afternoon classes for young ladies" at the all-boys private Brooks Military School in downtown Cleveland, Hathaway Brown School has helped students find and pursue opportunities, maximize their own potential, and make a difference in the world. The school moved to its current location in Shaker Heights in 1927 and it is now home to approximately 860 students in the Infant & Toddler Center through 12th grade, 41 percent of whom are students of color. Forty-four percent of students received financial aid awards (grades K-12) or merit awards (grades 9-12) in 2018-2019. The school maintains small class sizes in all divisions, and the student:faculty ratio is 8.6:1. HB is generously supported by gifts from alumnae around the world, as well as parents, faculty members, and friends of the institution. As of June 30, 2018, the market value of HB's endowment is roughly $59.5 million. The school offers extensive transportation services and a one-to-one technology program. Beginning in the 2016-2017 school year, Dr. Mary Frances "Fran" Bisselle became HB's 14th Head of School. The school's unique academic architecture allows students of all ages to gain an extraordinarily sound foundation in core subjects and to pursue their passions through the signature Institute for 21st Century Education, which reimagines traditional academic architecture and allows students to explore their passions and expand their real-world skills in a variety of disciplines. The Institute is comprised of 11 distinct centers running the gamut from civic engagement to business and finance. Some of the most popular programs are the Center for Global Citizenship, the Osborne Writing Center, and the Science Research & Engineering Program. Completing all center requirements over the course of three or four years can earn students graduation designations not often seen on high school transcripts. 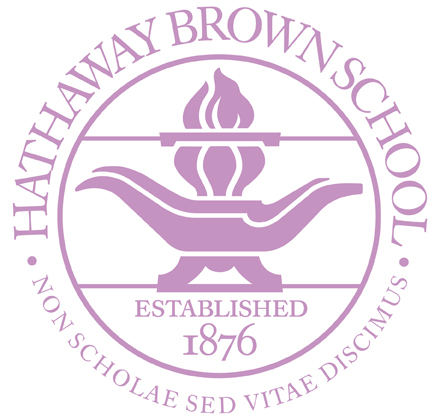 Hathaway Brown is a member of the National Association of Independent Schools, the National Coalition of Girls’ Schools, the Ohio Association of Independent Schools, the Cleveland Council of Independent Schools, the Global Education Benchmark Group, and is a founding member of the World Education Alliance.